This model is low enough for small mums to reach inside without difficulty or the use of foot stools. It won’t strain your back too. 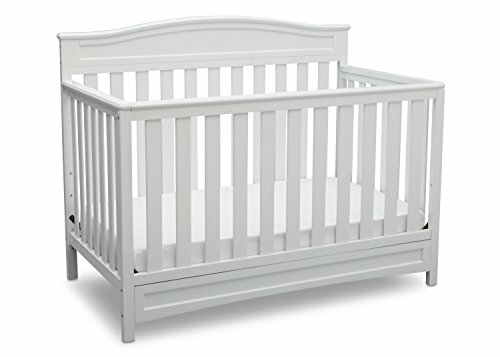 The front rail measures less than 3 feet from the ground thus making it easier to access the crib without needing to bend your back too much. You can adjust the mattress height (with three adjustments), and the assembly is easy. The instructions are clear and straightforward. You wouldn’t even need another person’s help in assembling it. It converts to a toddler bed, daybed and full-size adult bed. Thus, it serves as an investment since you don’t need to purchase a different furniture if your baby starts growing out of the crib. The wood structure is robust and sturdy. It has a beautiful finish and stylish design. It will still look good and sleek even when they use it as a regular bed. It’s durable and stable, so you get the peace of mind that your child is safe. Despite how solid it looks, it’s lightweight, and you can easily move it from one place to another. You need to watch out if the paint is coming off since it can be dangerous. It’s made with New Zealand pine wood and features four adjustable mattress levels. The finish is non-toxic and free of lead and phthalate. It complies with the safety standards to you’re sure the little one is always safe as they drift off to sleep. It converts to a toddler bed and daybed although the company is selling the conversion kit separately. The height from the floor to the underside of the side rail is only six inches which will make life easier for mums less than 5’5 tall. Assembling might only take 30 minutes or less if you do it all by yourself. There are no issues or problems with paint peeling. The design is sleek, simple and chic. It offers easy access to the baby because the sides aren’t that high. You don’t need to bend your back trying to put the baby in or taking them out. It’s lightweight, but it feels stable, reliable and sturdy. It’s cheaper than most similar products. The wood might look thin, but it doesn’t wobble at all. There’s a pretty strong odour from the paint. You need to let it air out for a full day at least. This modern and eco-friendly Crib has four adjustable mattress positions and converts to daybed and toddler bed. Unlike the other convertible cribs on this list, this one includes a conversion kit. You don’t have to purchase it separately, thus saving you big bucks in the process. It has hidden hardware so you can be sure there are no protruding screws anywhere and it looks clean and safe that way. It has a sleek, stylish and sophisticated design. It has a Greenguard Gold Certification which means that they have screened the cribs for the presence of more than 10,000 chemicals. The wood construction is solid, sturdy and stable – safe for babies up to 50 lbs. It’s easy to put together, and the paint doesn’t chip or peel off. Adjusting the mattress height is a breeze. It’s low to the ground thus, taking out and putting in the baby won’t put any strain on your back. It doesn’t have any smell, and it’s lightweight. It requires a little time to assemble. It’s big and bulky, and it’s difficult to move it from one area to another. You need to tighten the screws once in a while. It is different from all the other convertible cribs here. Aside from the obvious fact that it’s portable and perfect for travels, it also doubles as a play area for your little one. It quickly folds into a backpack thus carrying it is no problem. There’s no bulk or hassle. It has a side door you can open and close which makes it easy to put the baby inside or take out no matter what your height is. And that feature also converts this gear to a play yard. Setting it up is fast and straightforward – it could take only a few seconds or minutes, at most. It has a breathable and clear-view mesh to make sleeping comfortable (even on humid days or summer) and also allows you an unobstructed view of your child even if it’s zipped all the way up. It doesn’t take up a lot of space even if you bring it for travel – you can carry it on your back and still free your hands for the baby. 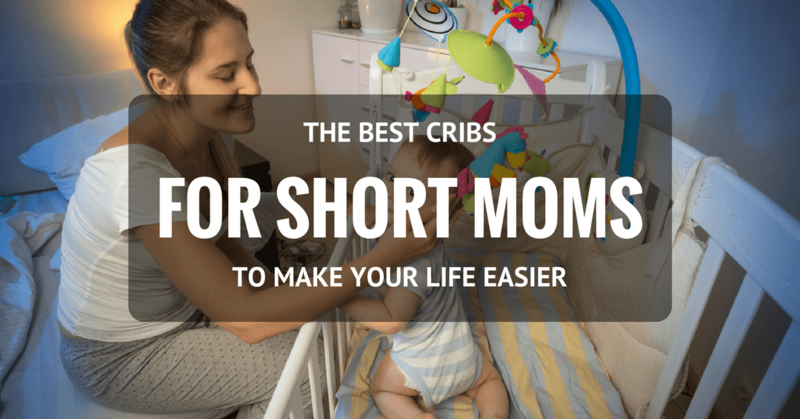 Getting in and out of the crib is a fun activity for the child especially one who just learned how to crawl. You need to take extra care of the zipper to avoid breaking it. 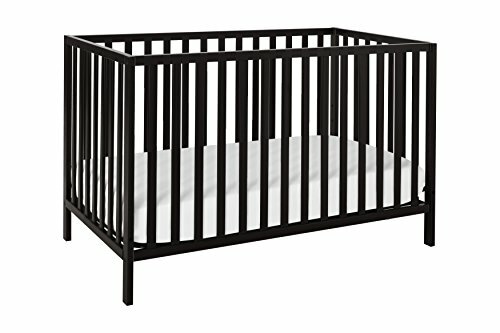 This sleek and sophisticated design offers a crib that’s both sturdy and stable. The construction is impressive and gives you the peace of mind that your child is safe. It also converts into a toddler bed, daybed and a full-size bed. The finish looks sophisticated and beautiful – something your child can use when they’re older. It’s a durable and robust construction. It also complied with the safety standards. The espresso finish is smooth and impressive – no chipping or peeling of paint which can be detrimental to a baby’s health. You can adjust the mattress because it has three different positions. It’s sturdy but easy to assemble – it won’t take you more than an hour to put it together. Instructions are clear, concise and straightforward. It's a high-quality furniture and looks like your little one can use it for years without issues. Toddler rail is part of the package, but you need to buy the adult rails separately. You may opt to purchase the conversion kit in advance because the last thing you’d want is for the items to be out-of-stock or unavailable just when you need them. It’s massive and takes up space. There are too many subtypes, so we’ll just have to tackle the most basic ones. This has a simple but sturdy construction. There are no additional features, and more often than not, it offers the best value because, for the most part, it’s the cheapest. It takes up little space, and this is usually ideal for those who are planning to transfer their babies to another bed once they grow out of it. As the name implies, you can easily fold it and carry it anywhere. Some of you might ask, why would anyone need to bring a crib to their travels? The straightforward answer is that not every hotel offer cribs. Sure, the more expensive ones will do, but based on my experience, it’s better to bring your own unless you’re co-sleeping. This is the kind my little one has. It’s a lot like a standard crib, but it has storage on the side. 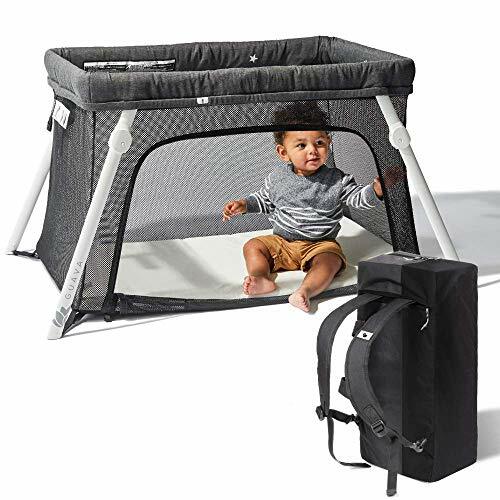 I like this one because it’s a space-saver – I can put his diapers and other essentials (wipes, baby oil, burp pads) within reach. This has two main features: it saves space and is versatile. A small corner is enough for this crib. And because of its shape, parents can access the baby from any side. The thing is, because it’s not very common, finding a mattress that fits it perfectly might be tricky. This is ideal for families who prefer to save money in the long run. It converts to a toddler, a day bed and eventually an adult bed. So you see, it can grow along with your child. Sure, it might be a tad more expensive than others but consider it an investment as opposed to buying cribs and beds separately. 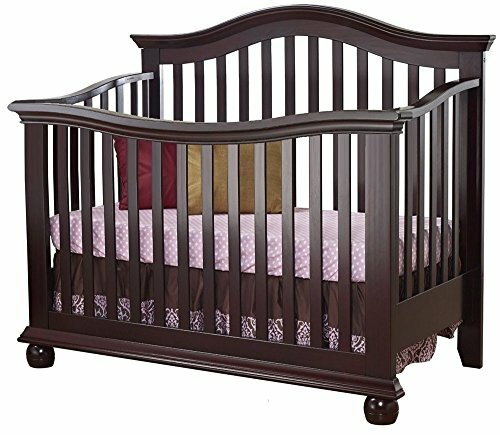 Double check if the company recalled the crib you bought. The Consumer Product Safety Commission regularly updates their list, so if ever you bought a second-hand item or if it’s a hand-me-down, this is an essential step. Like in everything else, the baby’s safety is always the top priority. Pillows, stuffed animals, comforters and bumper pads should not have any place within the crib. If it’s colder than usual, bundle up the child instead of putting additional blankets. It’s safer that way. They should only have a mattress, tight-fitting sheet and a sleep sack (this one is optional and is a better alternative to a blanket). The mobile toys should be at least 12 inches from them. This is to avoid any accidents because they might reach out to it and it might fall on their face and head. The mattress should be safe and breathable. It needs to be comfortable without compromising their safety. Here’s an important tip to know if you bought the right size: if you can put a can of soda in between the slats of the crib and mattress, then the baby’s foot, hand and even head could fit inside the space too. It should be neither too big nor too small. Ultimately, there should be no risk of the child getting trapped in between. Of course, if you opted for the round type, you need to purchase one that’s custom-fit for it. It should also be firm and not soft. Always look out for sharp or jagged edges, and protruding or loose screws. You can run your hand around the structure to check for it. Also, make sure nothing is missing – not even a single screw. Especially when your child starts to move about, it’s crucial that you account for every little thing. Keep in mind that these are choking hazards. The area should not have any curtains or window shades (or even just strings or cords) that the child could easily reach. This might cause strangulation if they pull it and play with it. Or it might end up covering their face.6. 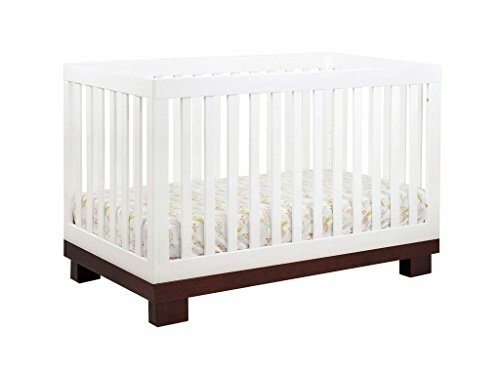 Regularly assess if the crib is still in good condition and is safe for use. In some designs, the mesh could tear, or the mattress is starting to sag. These are tiny details which might not seem like much, but it could still pose an enormous hazard for the baby. It’s vital to check more importantly if you’re sleeping in a different room. Although you can use a sturdy foot stool if your crib is a bit high for you and requires you to bend over (and maybe strain your back in the process), it’s never a bad idea to purchase one that’s suitable for your height. For this reason, the clear winner for me is the Lotus Travel Crib and Portable Play Yard because it serves multiple purposes aside from the fact that it can accommodate any height of the mother. Plus, it’s a big bonus for me that it also acts as a play yard for your growing baby. You don’t need to purchase a separate mat. Then again, if your intention is saving money in the long run, you can always choose from the convertible types I listed here.